Wayside Christian Church was founded in 2004 in the home of our pastor, Dr. John M. Ward. From its beginning, the church mission statement was, "To Know Christ More... And To Make Him Known to Others." For more than a decade, our church has been ministering to the needs of our community. And while facilities and faces have changed over the years, one thing remains the same... our commitment to Christ, to one another, and to the betterment of our community. Since 2004, the church has influenced its surrounding community by bringing souls to know Christ, feeding the community, and providing clothes for those in need. Pastor John Ward reminds all church members that "The church should not only preach Christ, it should also show Christ." Today, Wayside Christian Church is an integral part of its community and its facilities are used to host other community nonprofits such as the American Cancer Society, as well as many fraternities and sororities. The church also sponsors speakers to teach single mothers and pregnant women, youth intervention activities, and many other community minded programs. Yet, despite our strong heritage of activity and accomplishment, some significant challenges still remain. Our church currently has a need for modern audio visual equipment to be utilized in the production and delivery of worship services, as well as community-based outreach. Without a reserve from which we can purchase new and innovative a/v equipment, it is necessary for us to undertake an annual campaign to raise the funds needed to acquire these invaluable assets. The church hope to raise funds through increase social media presence and direct community involvement. Our church community needs to provide an adequate and safe place for our youth to meet; a space not only for fun activities but also for projects that would help them grow and mature into our future leaders. Wayside Christian Church plans to establish a youth theater ministry, through which the young and old alike will be able to experience the Gospel as told through children’s stories using puppets and other engaging techniques. However, introduction of such activities will require that a space be reconfigured to suit the needs of our youth. Finally, our newly established Wayside Community Development Corporation plans to address the holistic needs of the community as a whole. By offering comprehensive programming to individuals and families in the community, and addressing needs such as literacy and the teen pregnancy crisis, Wayside CDC’s efforts will tremendously buttress the good works being done by our church. We need your help to make these efforts possible. Your donations will go to help fulfill the work of Kingdom building through the area mentioned above. Simply click on any of the buttons above and you can give $10, $25, $50, or even $100.00 to support the kingdom work through Wayside Christian Church. God Bless. 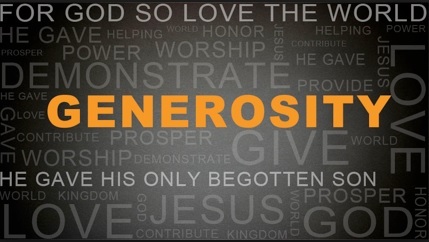 Why WE Give from John Ward on Vimeo.